Production of high precision injection molded plastic components for use in the medical device industry in areas such as drug delivery, medical diagnostics, surgery and inhalation. 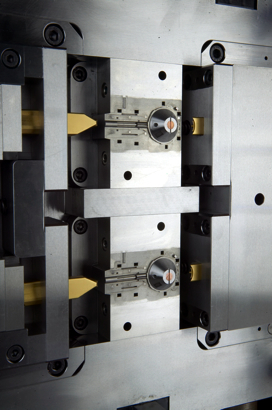 Micro Fluidic molding solutions with integrated optics using conventional injection moulding machines or dedicated micro injection molding equipment. 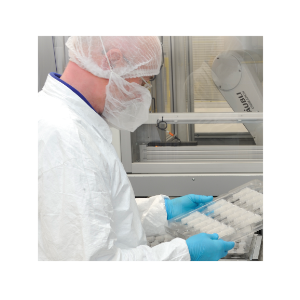 Low to medium volume component manufacture, white room for clean production, ideal for pre-production testing, clinical trials and market acceptance. Optimold offers full flexibility to suit your development needs with mould manufacturing facilities within the same site. This allows fast and effective changes, helping to reduce development timescales whilst keeping communication uncomplicated. For clients who operate their own in-house moulding facility we are able to provide product, mould and process development in an environment that does not affect their existing production setup. • Fully equipped mould manufacturing facility with the most advanced machining capabilities available anywhere in the world. Optimold utilises the highest quality injection molding machines, currently ranging from 30 to 300 tonnes clamp force, with a shot size range up to 350 grams. 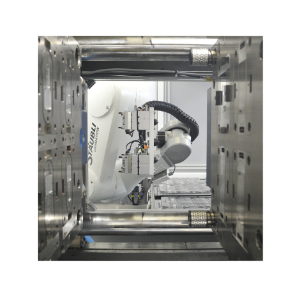 Throughout all processes, quality control is stringent to ensure that production is carried out to the highest standards, with state of the art CNC Vision/Touch Co-ordinate Measuring Machines. 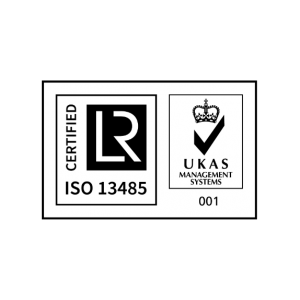 Optimold operates a Quality Management System with Quality Assurance and accreditation to ISO 13485: 2003 & ISO9001: 2008. Our production takes place in a temperature controlled white room, supplemented by localised ISO class 8 environments where required. Optimold designs and implements turnkey solutions for customers looking to improve productivity and quality, and also achieve reductions in manufacturing costs of components.